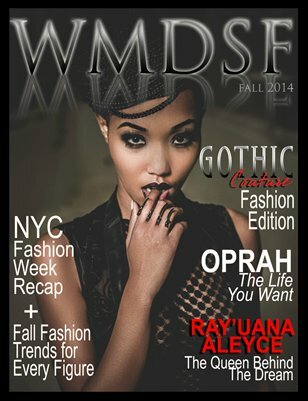 WMDSF Magazine presents our Fall Gothic Couture Fashion Edition. Get the lastest in the Fall Must Haves for every figure, Fall Beauty Trends, behind the scenes with Oprah The Life You Want, Halloween recipes and New York Fashion Week Recap. See the ladies of WMDSF take over the dark corridors of Oheka Castle.